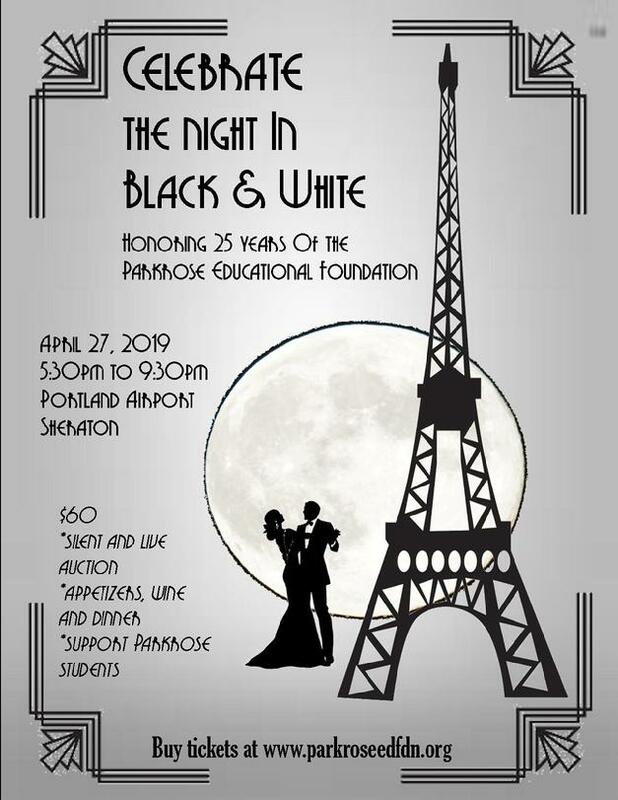 Our Mission: The Parkrose Educational Foundation is a group of community volunteers raising and distributing funds to enhance the educational experiences of students in Parkrose Public Schools. Formed in 1994, the Parkrose Educational Foundation is an independent 501(c)3 non-profit organization. Help us celebrate 25 years of the PEF, tickets on sale now! Check out our Facebook page for some of the fabulous auction donations that can be yours! 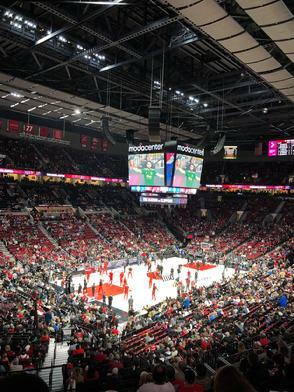 Thank you everyone who bought tickets and supported the Parkrose Educational Foundation. 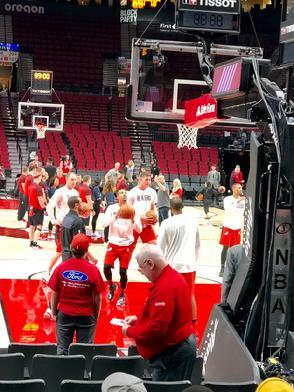 We had a great time.....Go Blazers! 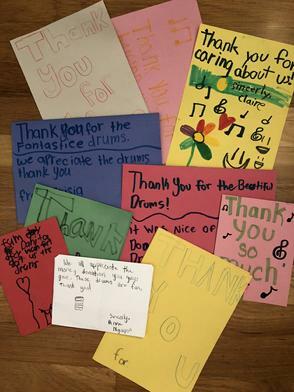 The PEF helped fund the purchase of world drums for Sacramento Elementary. Sacramento Mazama Mountain Science School and Parkrose High School attendance incentives! 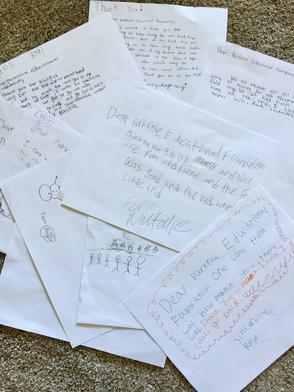 Letters from Sacramento Elementary students thanking us for providing a grant to help them attend the Mazama Mountain Science School. The PEF provided a grant for attendance incentives at the High School. Almost 600 students were at 90% or better attendance in February and received this keychain! 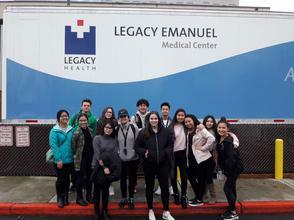 The High School Advanced Health Services class was able to go on a field trip to the Legacy Emanuel Burn Center and listen to a 38 year veteran in burn care talk about his experiences as a nurse, thanks to a grant from the PEF. 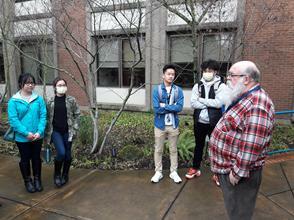 High School Life Skill students exploring at OMSI thanks to a grant from the Parkrose Educational Foundation. 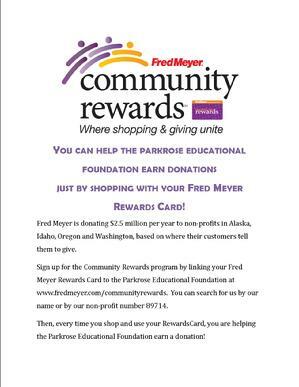 Fred Meyer will donate to the PEF every time a linked Fred Meyer Rewards Card is used.